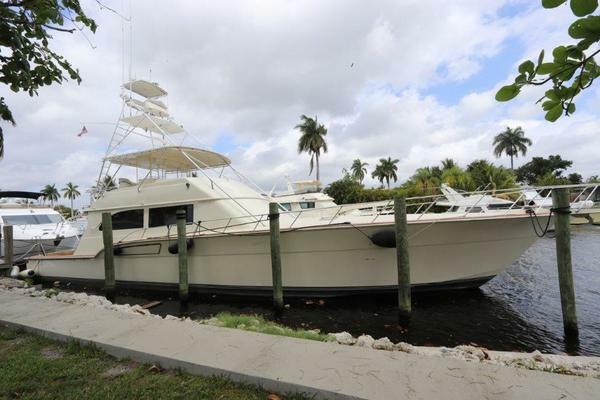 This Donzi Convertible is a two captain Donzi 58' which is tournament equipped two captain Donzi 58' which is tournament equipped but very lightly used. Thebut very lightly used. The original MTU 12V2000 1350 HP motors were replaced original MTU 12V2000 1350 HP motors were replaced with the 1480 HP motors in 2007. 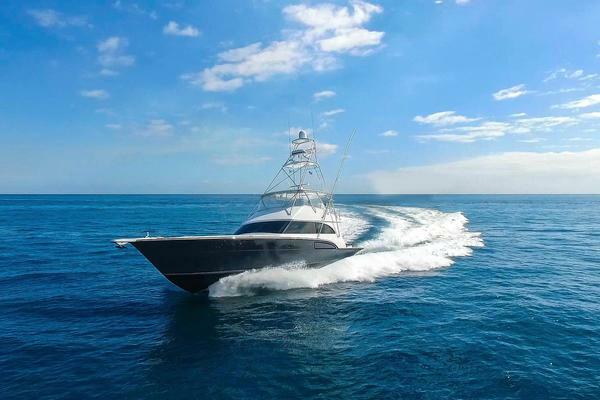 At this time the vessel was with the 1480 HP motors in 2007. At this time the vessel was painted withpainted with Awlcraft 2000. The teak decks and covering Awlcraft 2000. The teak decks and covering boards were also replaced.boards were also replaced. The best Sport Fish on its class , extremely clean and well maintaned. • To starboard, centerline berth with ensuite head. • New AC as of June 2012. • Large cedar lined closet to starboard. • End tables with lamps.